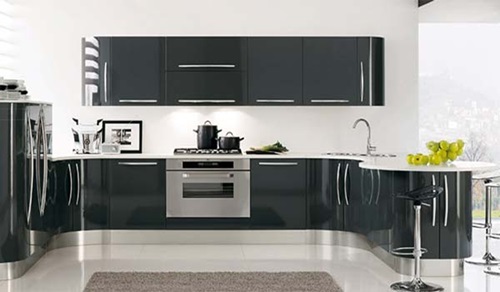 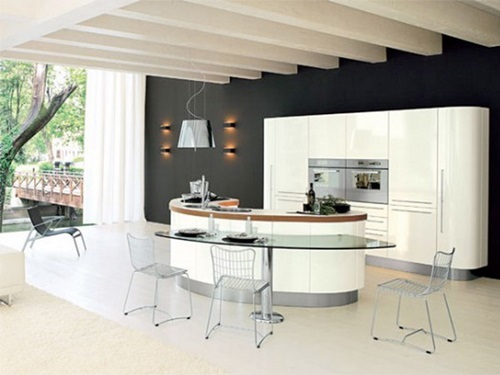 Your modern kitchen should look stylish and fit the smallest area without being cluttered. 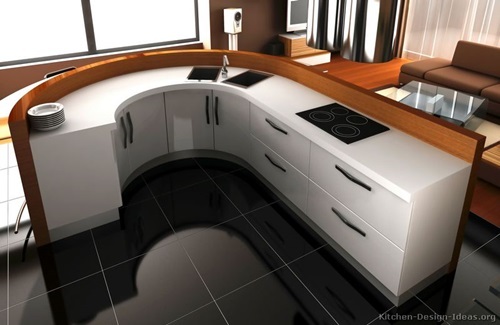 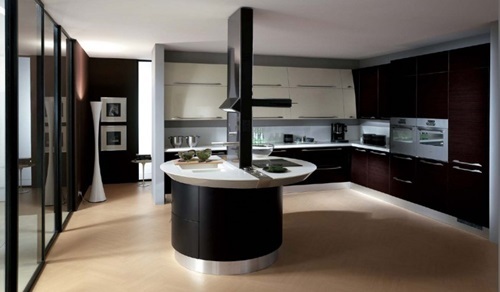 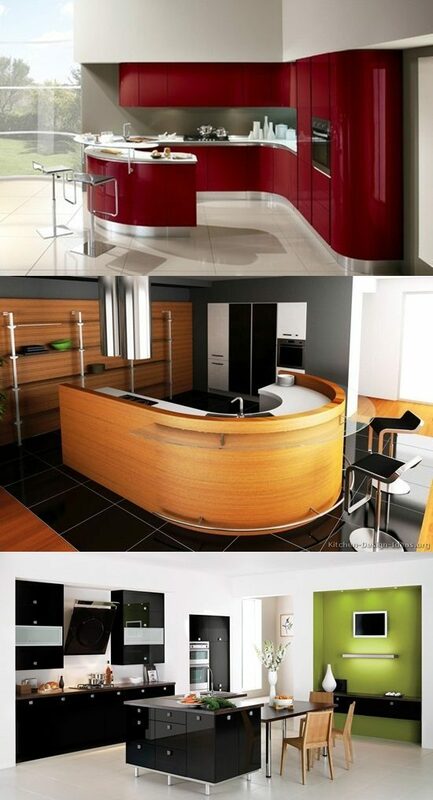 The curved kitchen designs can blend with your large or small spaces giving your place a sleek and clean look. 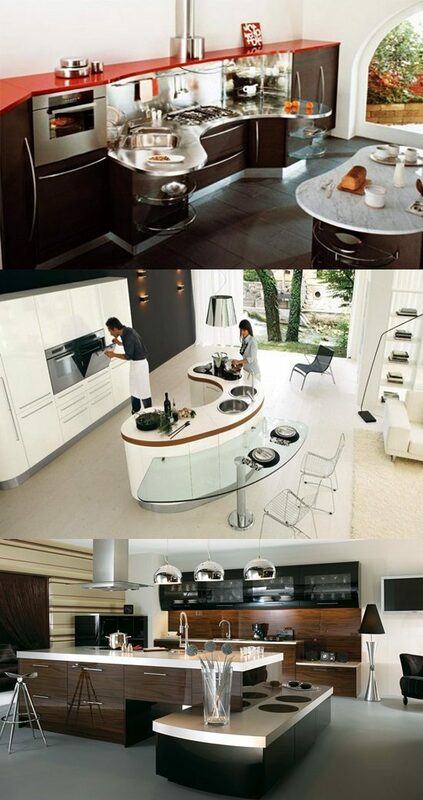 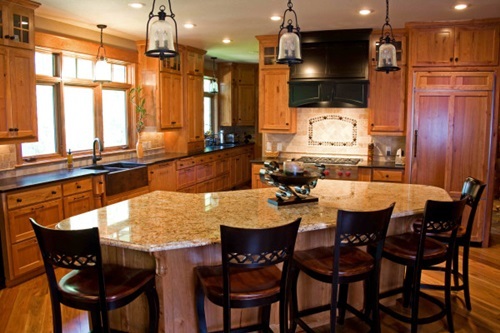 Here are a few ideas about the different designs of such a kitchen. 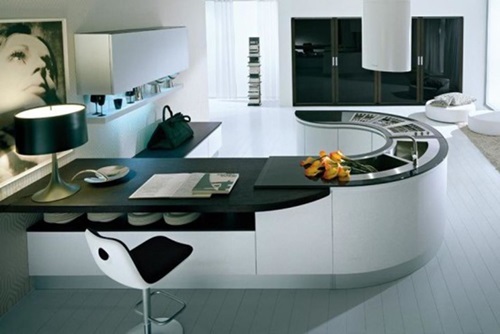 Your curved kitchen cabinets will enhance, instead of contrasting, the clean lines required in youth modern kitchen. 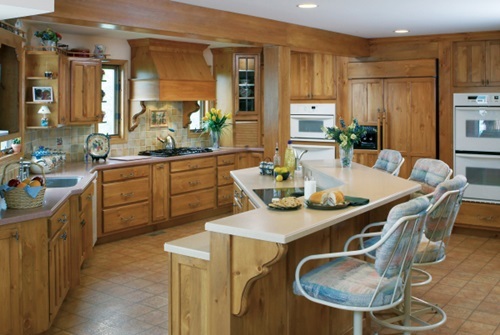 Such cabinets will need curved countertop and island to create a unity in the place. 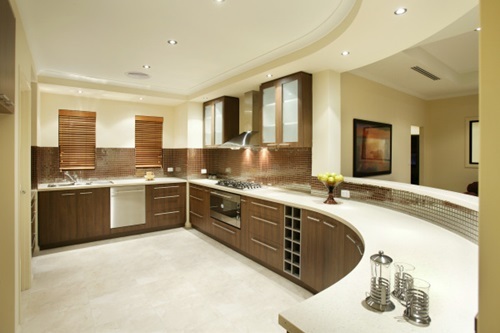 Your kitchen can have different designs such as rectangular, U shaped, J shaped, or C shaped kitchens according to the available size. 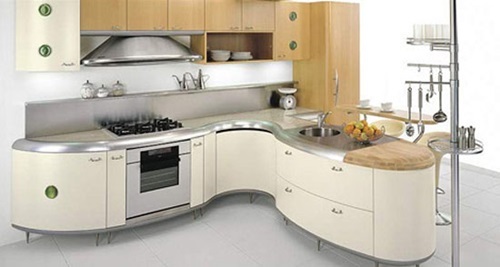 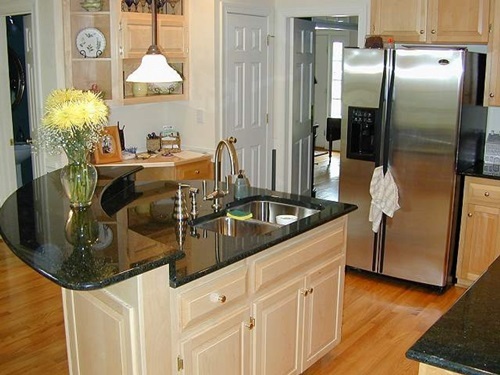 The round sink and refrigerator door with radius will enhance the look of your curved kitchen. 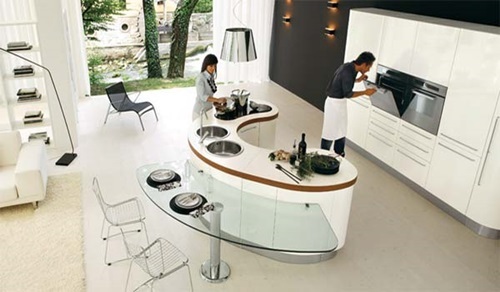 You can install slim and sleek glass, metal, or solid laminate worktops according to the kind of recipes you cook in your kitchen. 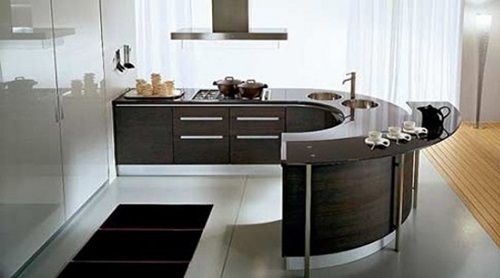 The wooden floor with horizontal plank long lines will enhance the clean lines in your curved modern kitchen. 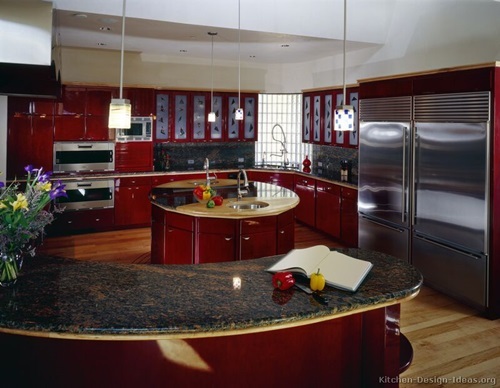 However, you can install natural stone or tiled floor to get a sleek and stylish look. 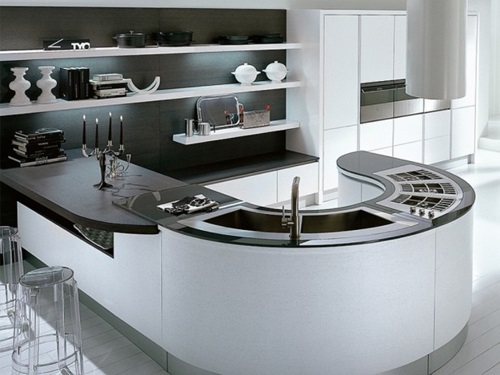 The glass, acrylic, or laminate backsplashes with modern pictures or patterns will blend perfectly with your modern curved kitchen. 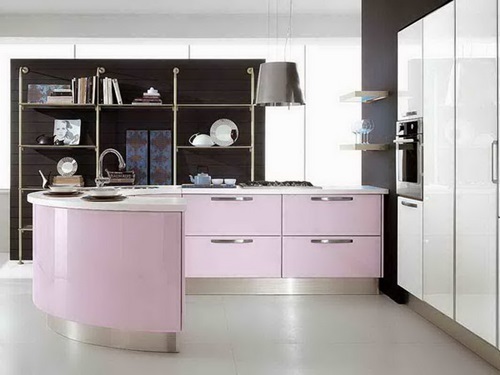 You can choose different colors for this kitchen such as off-white walls with white and steel appliances or colorful walls such as green, aqua blue, and lavender with steel or black appliances. 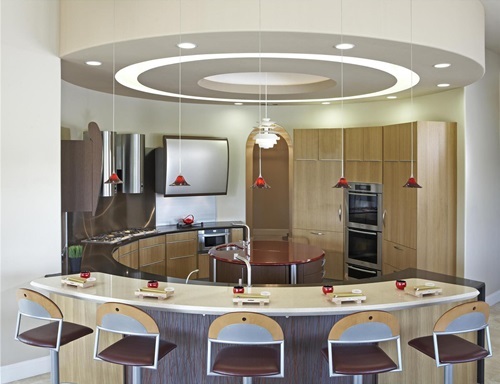 Your modern curved kitchen curtains can be made of translucent fabrics with the color and thickness that will give you the needed natural light. 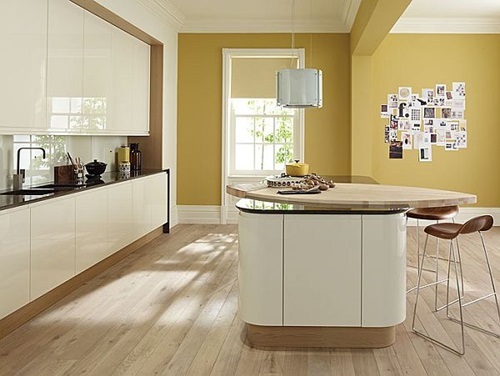 The plenty of natural light in your kitchen will enhance the clean and balanced look in the place. 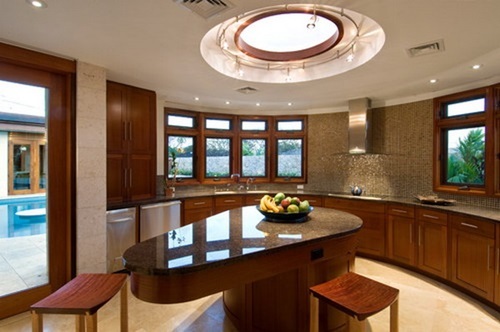 You can install modern artificial functional and decorative lights according to the size of your kitchen. 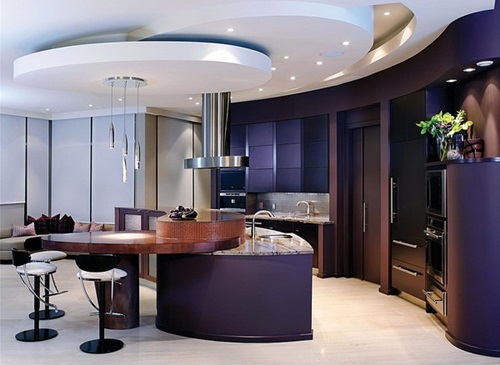 The large modern kitchen will need ceiling lights, under cabinet lights, task lights, and overhead lights to give the place a bright look.